money to return home to House Arrest. This would be beyond imagination. We'll see what happens - a report will be forthcoming tomorrow. required to wear in order to avoid serving time in jail. who was being monitored by satellite. ”The corruption and the deceitfulness continues in Berrien County Courthouse. Judge Butzbaugh has violated his oath. I support the constitution of the United States and the State of Michigan; we are still waiting on this racist corrupt judge to do the same. Judge Butzbaugh has failed the people, the community, his duties and his office." What about Rev. Pinkney’s right to free speech under the Constitution? And why have they seized his computer? Have the sheriffs of Berrien County, Michigan nothing better to do than to persecute Rev. Pinkney? No violent crimes to solve, no rapists to catch, no people to protect? The police examining Rev. Pinkney’s computer will find he and BANCO have supporters all over the world. For example, a delegation from the Global Women's Strike representing South America, Europe and the Caribbean visited Rev. and Mrs. Pinkney in mid-November, and are committed to gathering global support for him. “Benton Harbor’s struggle against racism and to survive in their own home city is our struggle,” they said. Legal abuse and persecution of Afro-Americans in the Jim Crow South is flourishing in Michigan. We must not stand by while the white elite of Berrien County attempt again to silence a man whose only ‘crime’ is to be the voice of Benton Harbor’s Black community, calling out the racism and corruption of local government, police and courts. ACT NOW. Demand Rev. 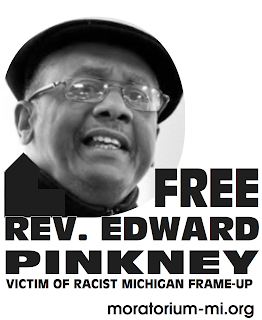 Pinkney’s immediate release! Demand that all charges be dropped against him and that he be released from house arrest! 2) Demand Rev. 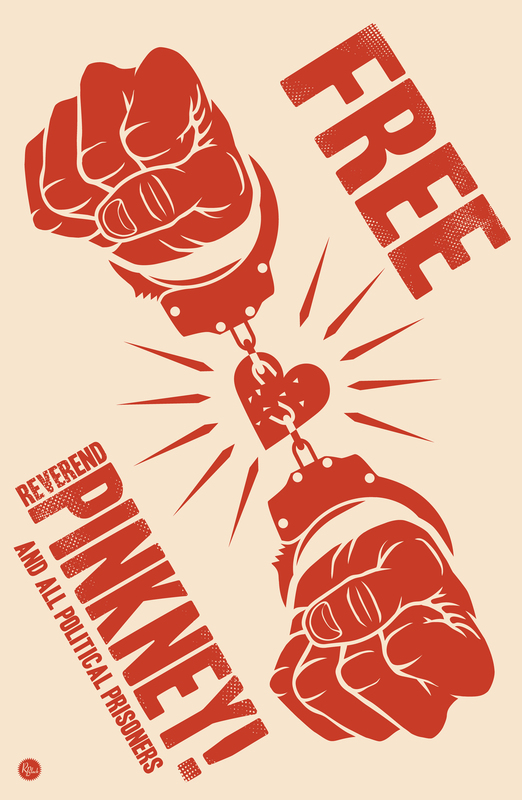 Pinkney’s pardon and immediate release. Gov. Granholm has the ability to pardon Pinkney or commute his sentence. All individuals and organizations are urged to immediately write letters or post cards DEMANDING his pardon. Maytag, KitchenAid, Jenn-Air, Amana, Gladiator, GarageWorks, Inglis, Estate, Roper, Magic Chef, Acros, Supermatic. ABROAD - Bauknecht, Brastemp, Consul, Eslabon de Lujo. Your Congressional Representative CONYERS. For phone number and address call 202-224-3121.